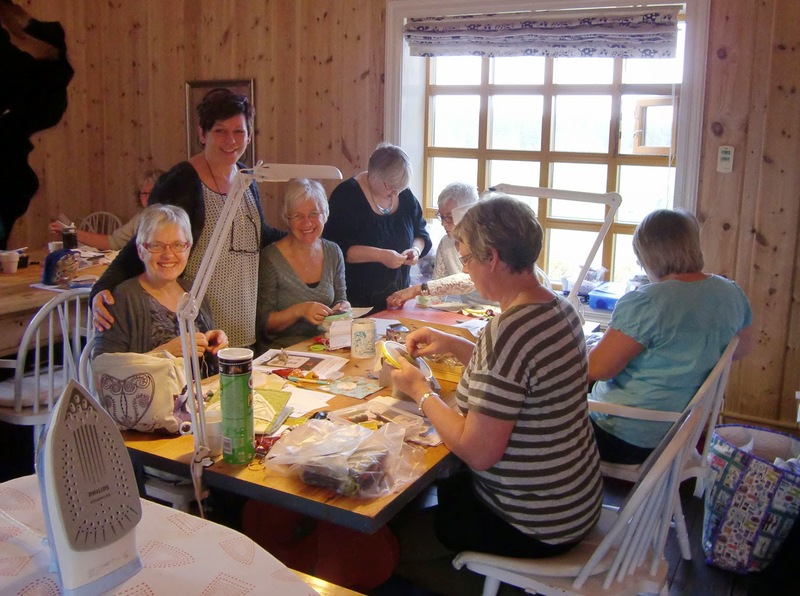 Piece by Piece: A great quilting weekend! This weekend was the best! The shop arranged a weekend class with super awesome AnnAKa! She is such a wonderful designer, and a super teacher! 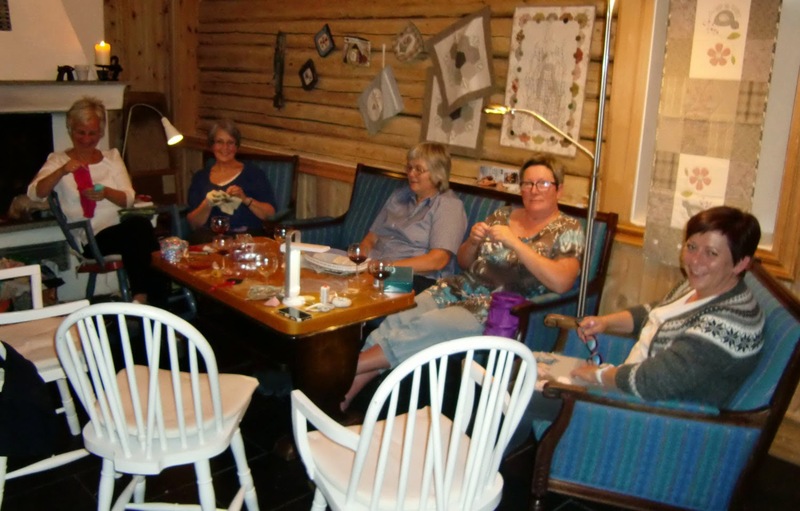 The class was all sewing/stitching by hand, so no sewing machines required! The first two pictures shows her model that we learned to sew. Lots of different hand sewing techniques makes it a lot of fun to make! This is the inside of the folder. Lots of pockets to keep our projects and stuff in! 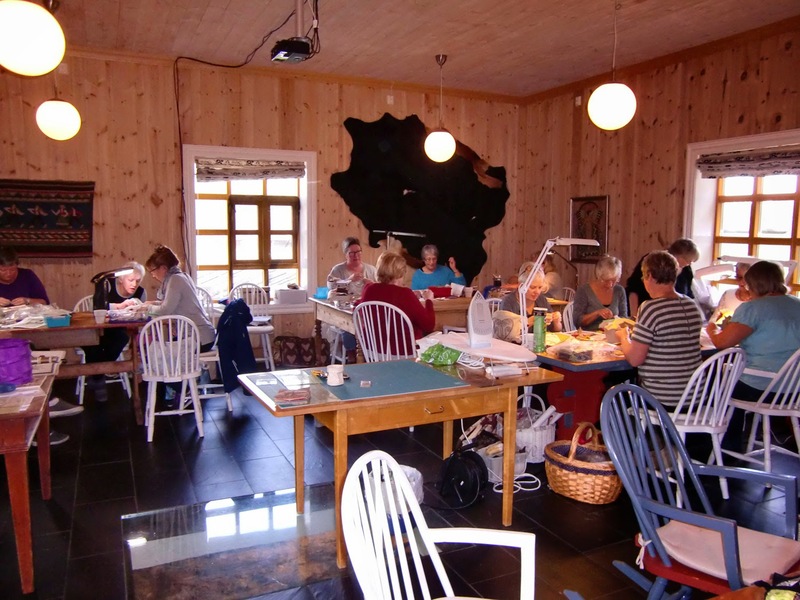 16 ladies ( including my business partner Karin and me) enjoyed the weekend at "Telstad" which is an old farm turned into a great course location! Lots of smiles and laughter during the class! Ann is standing between my mom (on the left) and my aunt ( my moms' sister). I love having both my mom and aunt share the passion for quilting with me! 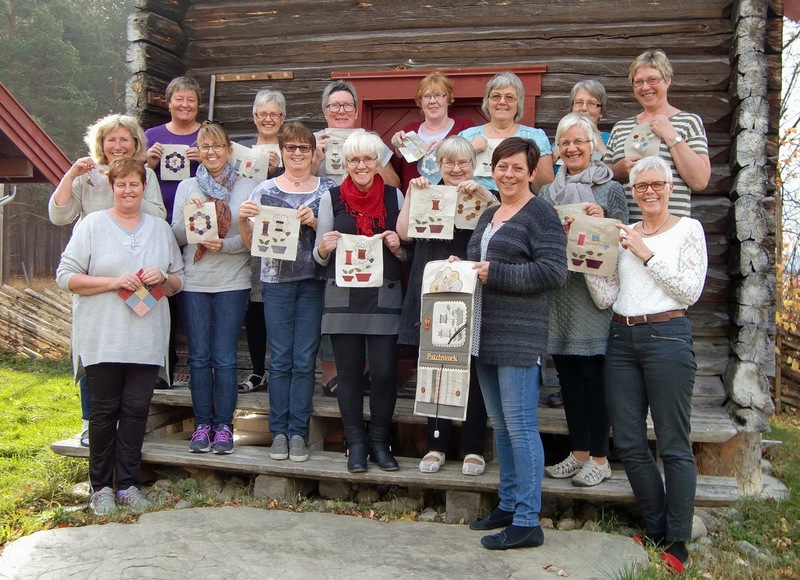 Sunday afternoon was the end of class, here are all the very talented and lovely ladies with some of the pieces they had worked on. 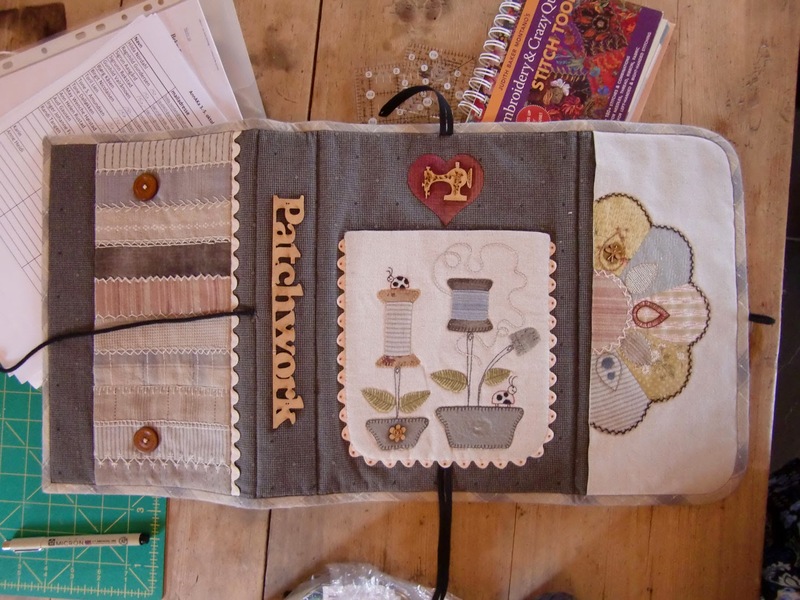 I really look forward to seeing all the stitchery folders finished! What a lovely weekend together-- and to have your mum and aunt there too would have been very special. That's an amazing project to be all hand sewn. Looks like you had a lovely weekend, and very special to have your Mum and Aunty there to share it. How fun to have your Mom and Aunt with you. 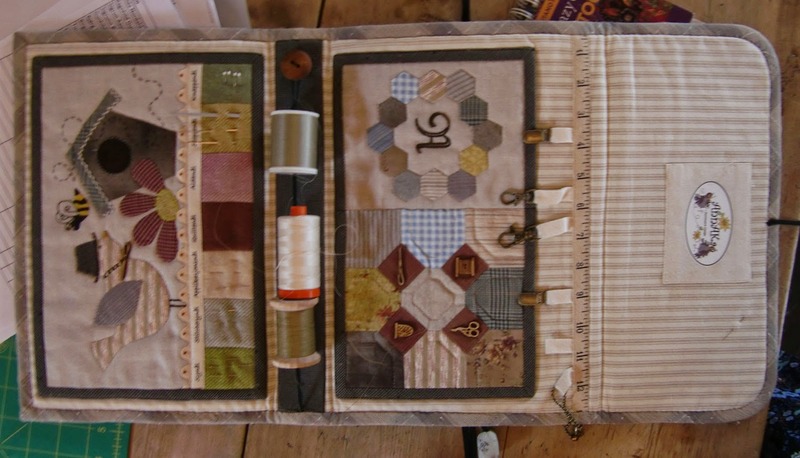 I went on a quilting retreat with my Mom, Aunt and sister once and we had a great time. 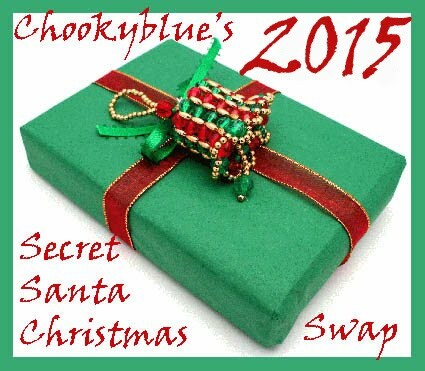 Those little stitchery books are adorable -- you'll have to show us all the parts of yours when you're finished! That's just the kind of weekend anyone needs...sounds wonderful! !